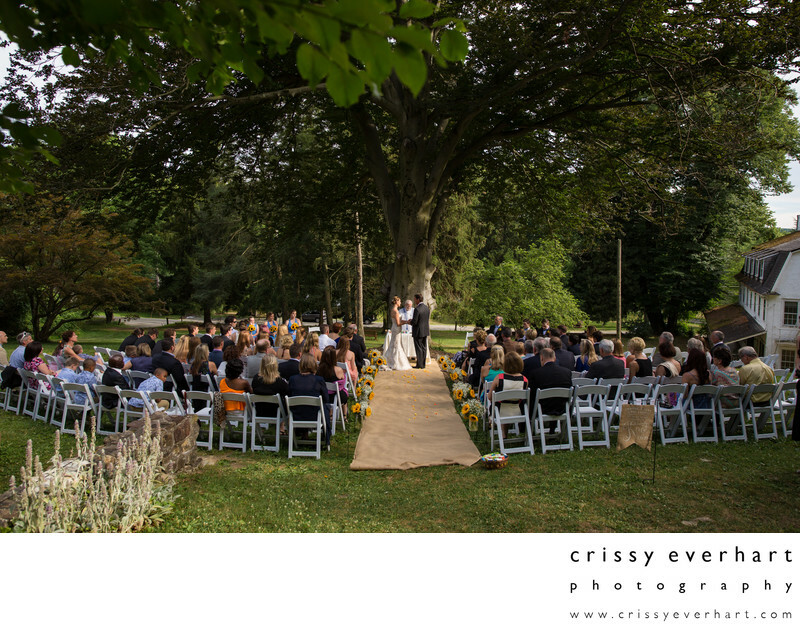 Sunflowers adorn the aisle as this couple gets married under the giant oak tree at Historic Yellow Springs. Historic Yellow Springs is on Chester County's register of historic places, as it was originally built around 1750 as a tavern and inn in Chester Springs, Pennsylvania. It has a stone ruin, colonial buildings, and open land, which makes it perfect spot for an outdoor wedding.